Derby County striker Chris Martin has joined fellow Sky Bet Championship side Reading on a loan deal to the end of the season as the January transfer window deadline closed this evening. Meanwhile, fellow frontman Johnny Russel was off to MLS club Kansas City and striker Mason Bennett on loan to Notts County. But incoming on loan was exciting Chelsea attacking midfielder Kasey Palmer. 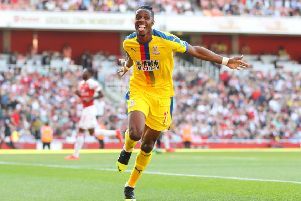 The 21-year-old became the club’s second signing of the January transfer window, following Cameron Jerome who joined from Norwich City earlier in the window. Palmer, who played in a key role in Huddersfield Town’s promotion winning campaign last term, will now link up with Gary Rowett’s men with a view to making his debut in Saturday’s Sky Bet Championship clash with Brentford at Pride Park Stadium. A product of the Charlton Athletic Academy, Palmer joined Chelsea as an Under-16s player. The 21-year-old Bennett has linked up with Kevin Nolan’s side in a loan deal which will run for the remainder of the campaign. The 29-year-old Martin had made 25 appearances for the Rams in all competitions this season but has been limited to five League starts while boss Gary Rowett further added to his attacking options earlier this month by signing Norwich City’s Cameron Jerome. Martin will be ineligible to face Derby when the two sides meet at the Madejski Stadium on Saturday, 24th February. The Scotland international has made 186 appearances for Derby since joining from Norwich City in 2013 and scored 63 goals. Russell, 27, will complete the formalities of the transfer to bring to an end his four-and-a-half-year stay at Pride Park Stadium. He is set to join Kansas in an undisclosed deal ahead of the start of their 2018 season in March.